On piece of valuable equipment to take with you when you go off-road or even on a normal daily drive in your Jeep is a fire extinguisher. 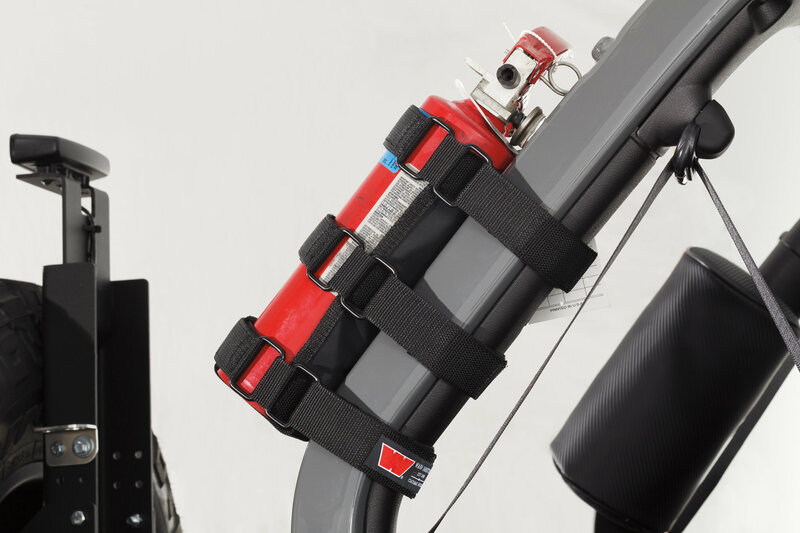 The Epic Trail Gear Standard Duty Roll Bar Fire Extinguisher Holder gives you a safe and secure location to store a fire extinguisher that is out of the way but can be grabbed at a moments notice if needed. This holder has a hook and loop attachments that give you the ability to store a 1lb, 2.5lb or a 5lb extinguisher on your roll bar. 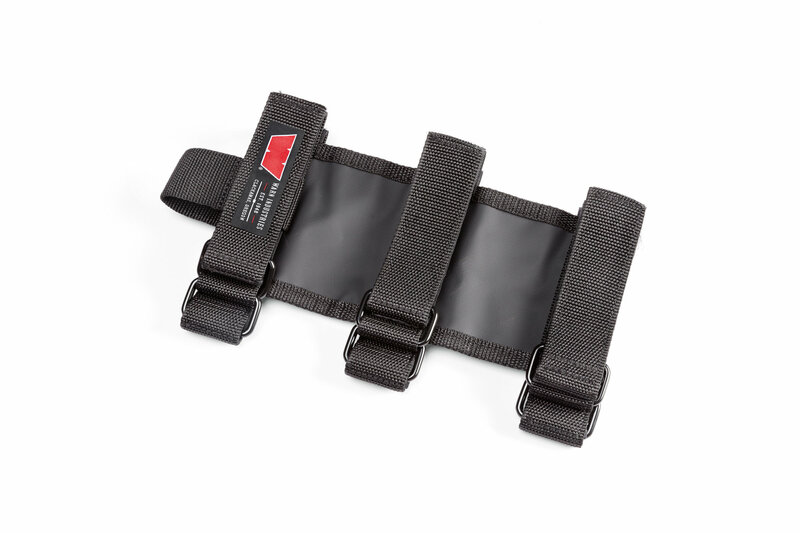 Premium Quality: Made from marine grade vinyl with high grade hooks and loop straps these epic gear bags will stand up to all types of conditions and abuse. UV resistant fabric make sure that your bags will not fade and look good for years to come. Roll Bar Storage: Gives you a safe and secure location to store a fire extinguisher that is out of sight but easy to get to when needed. Installation: The hook and loop straps secure this fire extinguisher holder nicely onto the roll bar near your cargo area.